Hello and welcome to our website, which we have created for our customers. 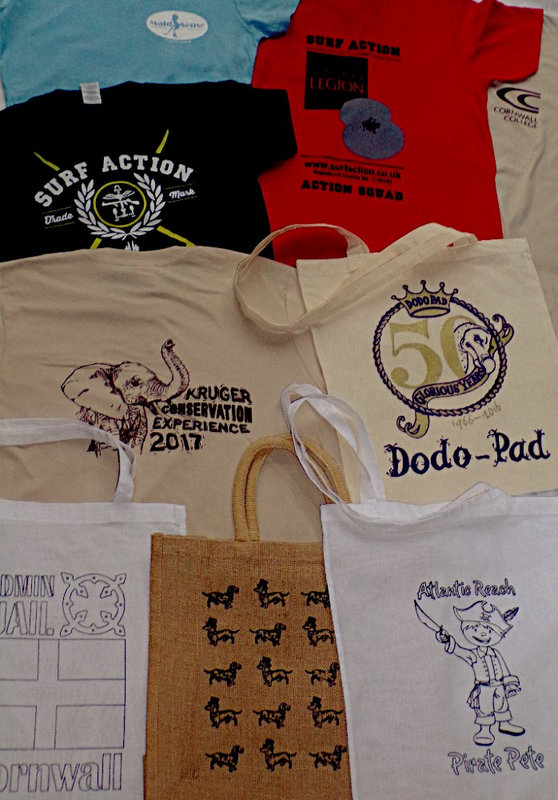 We print t-shirts, long sleeve t-shirts, polo shirts, hoodies, sweatshirts, zipped hoodies, tank tops, vests, athletic tops, aprons, cotton tote bags, jute bags, drawstring bags and stuff bags. Because we have been screen printing for over 15 years, we know what our customers want to know. We have listened to our customers and have made our pricing strategy and print processes easy to understand. We explain our print processes, to help you make your own choice of which print procedure works best for you. From viewing each page, you can work out the costs of your order. We aim to complete all orders 10 to 14 days from order confirmation. We are not VAT registered and there's no hidden costs. We offer free local delivery or £5.00 delivery in the UK.